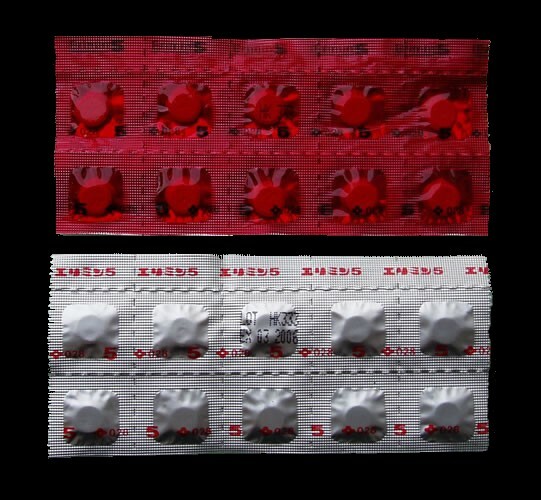 Erimin 5 is a benzodiazepine under the hypnotics and sedative group. The generic name is Nimetazepam . It comes in 3mgs and 5mgs.The taste is sweet with a hint of bitterness . There are a lot of imitations for this drug (I myself cannot tell the difference) so getting it from a doctor is always a must. I am really a big fan of Erimin 5 .In Singapore Erimin is rampant in the black markets. One cannot be too sure of the ingredients the pills contain. Soft , mild and relaxing. That’s what Erimin is about. It helps to relax the nerves on the back of the neck when It gets stiff and achy and does alot more like sleep , panic attacks ect ……….